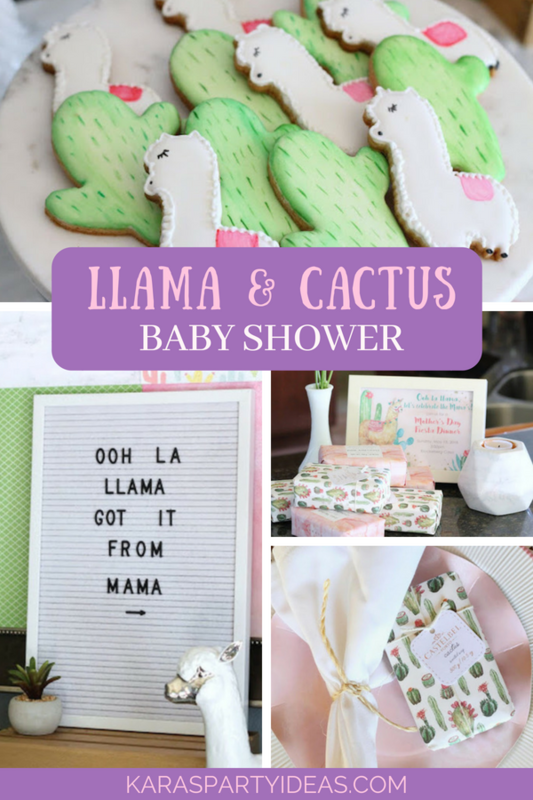 Prick your finger and prance your feet, this Llama & Cactus Baby Shower just can’t be beat! 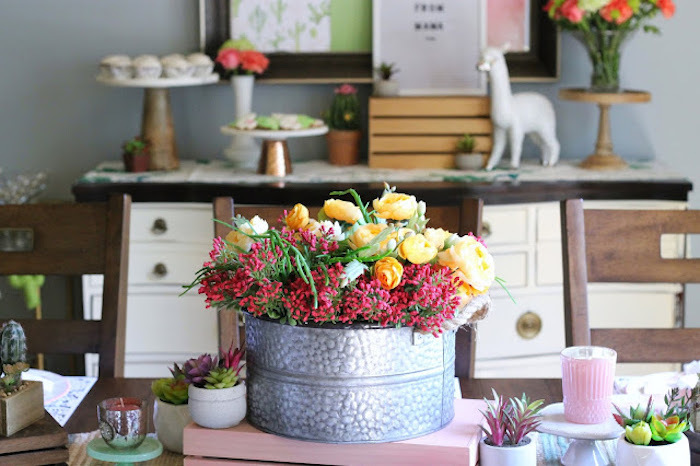 Styled by Toni Kruckeberg of AK Party Studio, out of Tacoma, WA, USA; this darling event is packed with sweet details, sure to captivate and inspire! 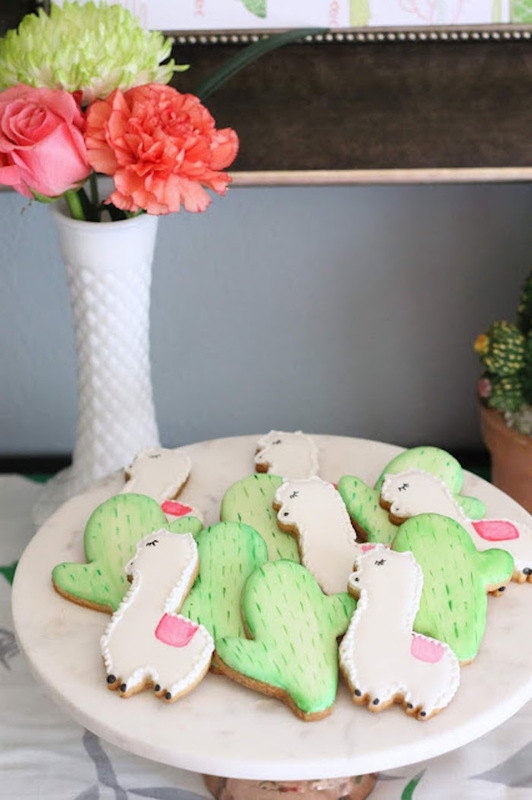 “Llamas and cactus themed parties are everywhere right now and I couldn’t resist jumping on board to host a party with my own spin on such a darling theme. 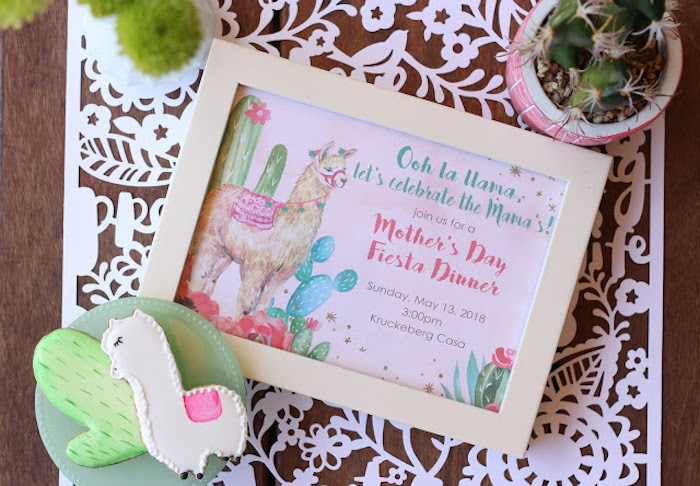 Last year we “Flamingled” for Mother’s Day, this year I combined these cute themes into one fun party, for an Ooh la llama let’s celebrate the Mamas, fiesta dinner. 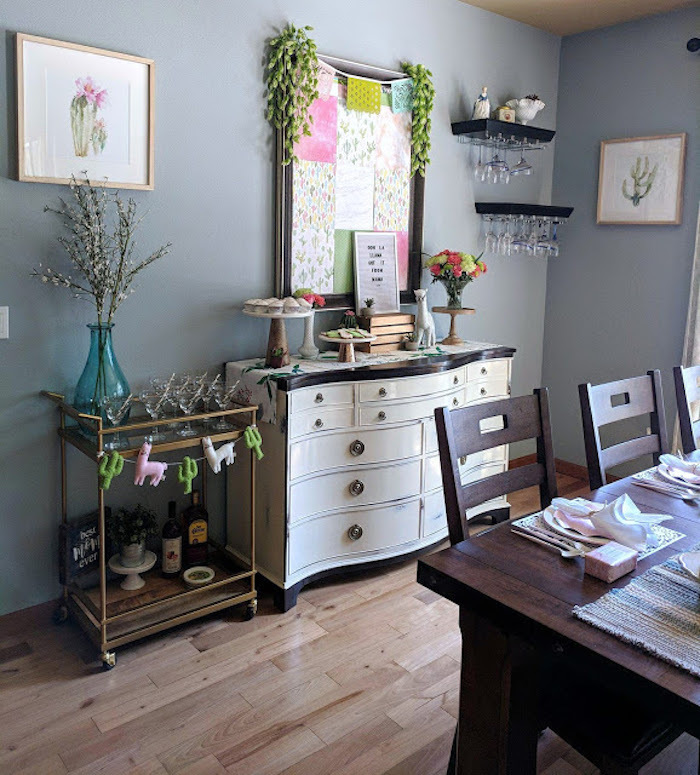 We served carne asada and fajita chicken with all the fixins, and on the side we had homemade refried beans, Mexican street corn and Spanish rice. 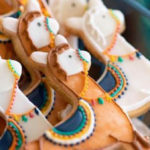 I’m drooling now just thinking about it, I guarantee that no one left hungry! 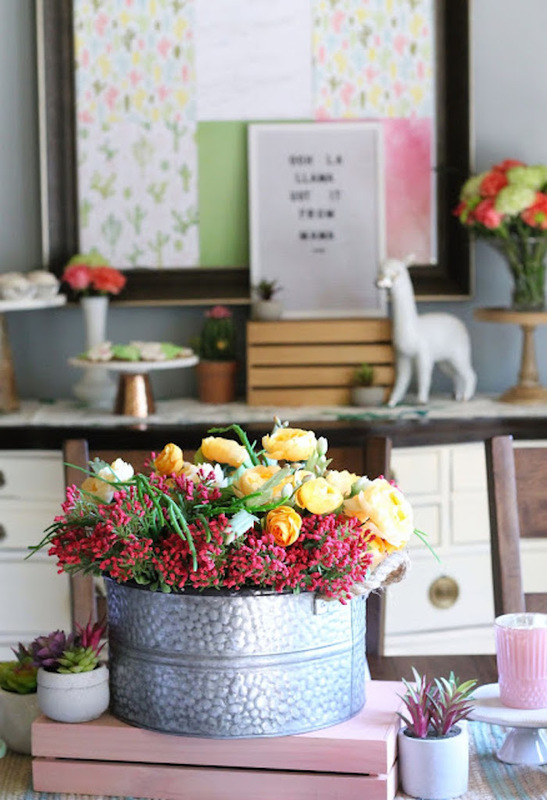 When designing a tablescape the tips I always love to use are layering and height. 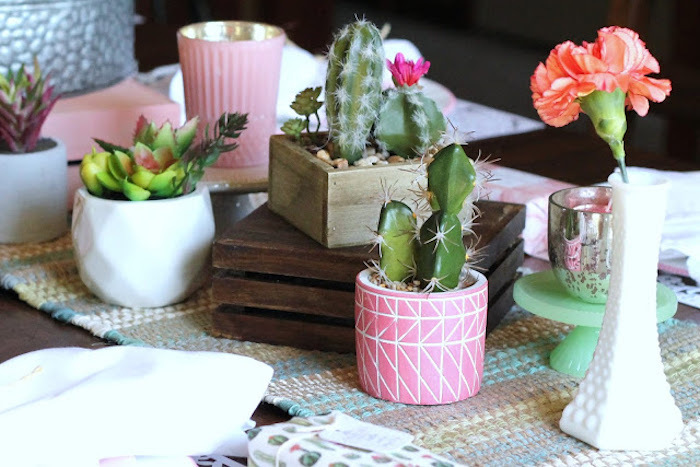 I love using boxes, vases, cake plates, etc… to add height to candles, plants or flowers. 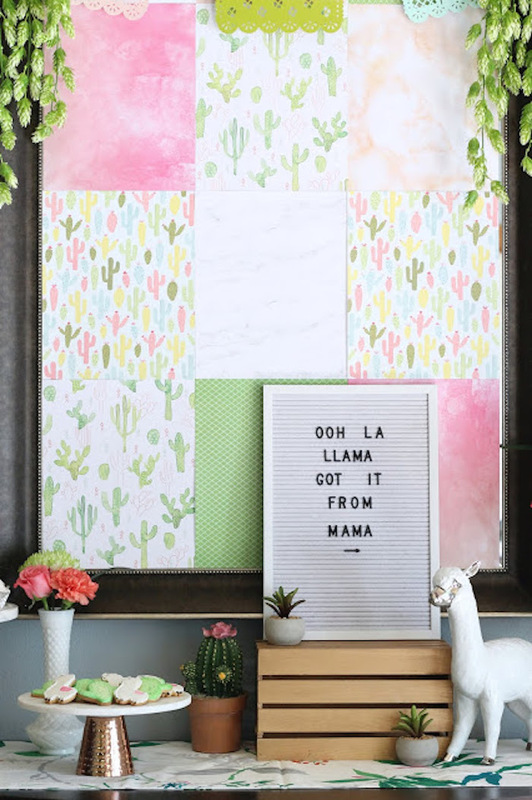 I created this fun backdrop with different prints of scrapbook paper, cut to size and attached to a mirror. 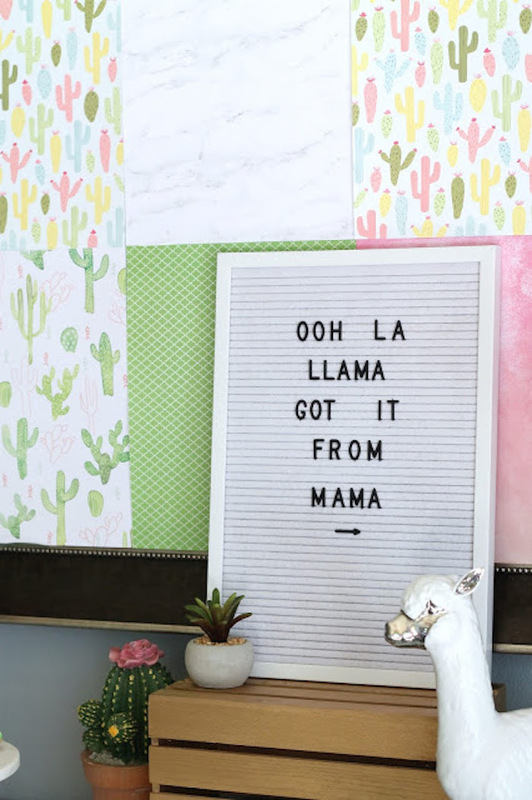 It was the easiest backdrop I have ever made and I love how it turned out. 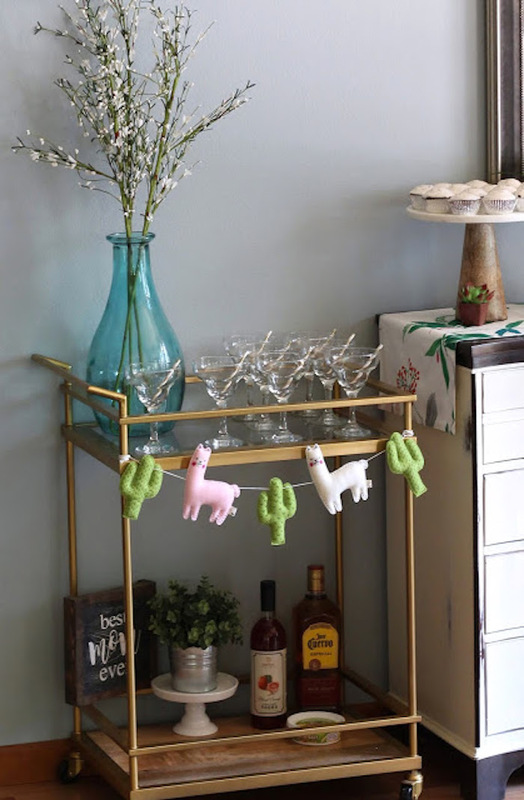 To finish the look I added a small papel picado banner and greenery. 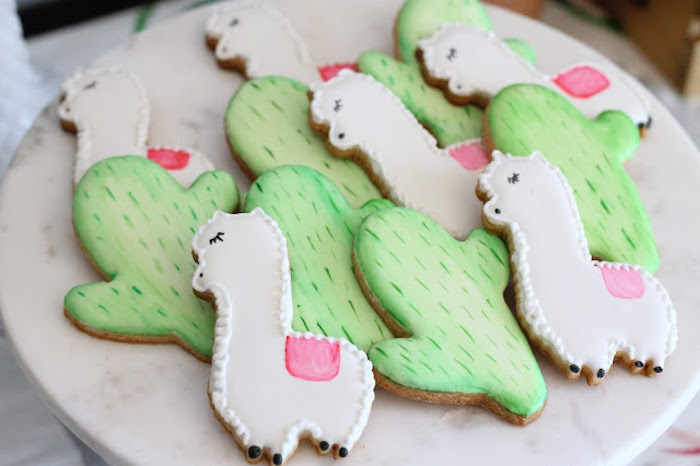 The desserts were kept simple with the cutest llama and cactus sugar cookies and Mexican hot chocolate cupcakes. 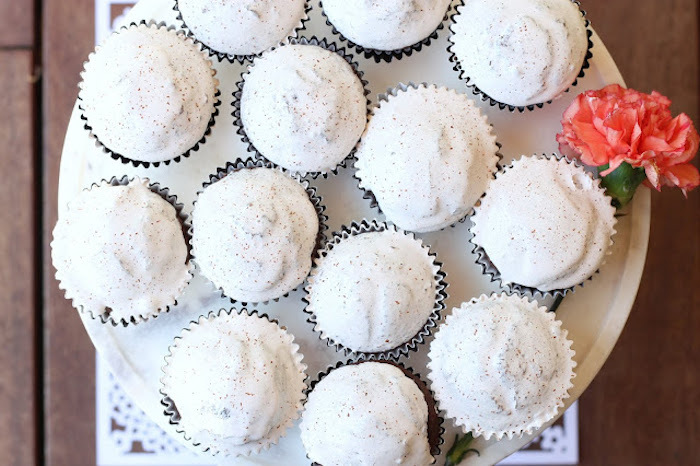 You can find a yummy recipe for these cupcakes here. 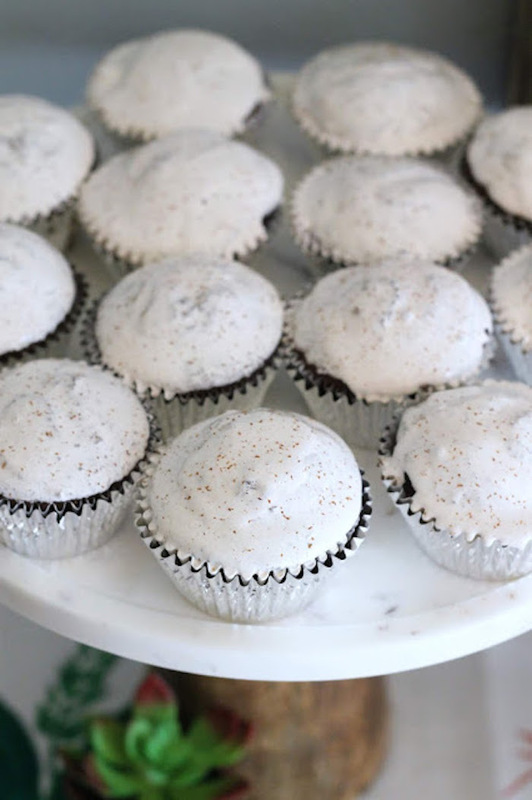 I loved that the cupcakes looked like they had a melted marshmallow on top. 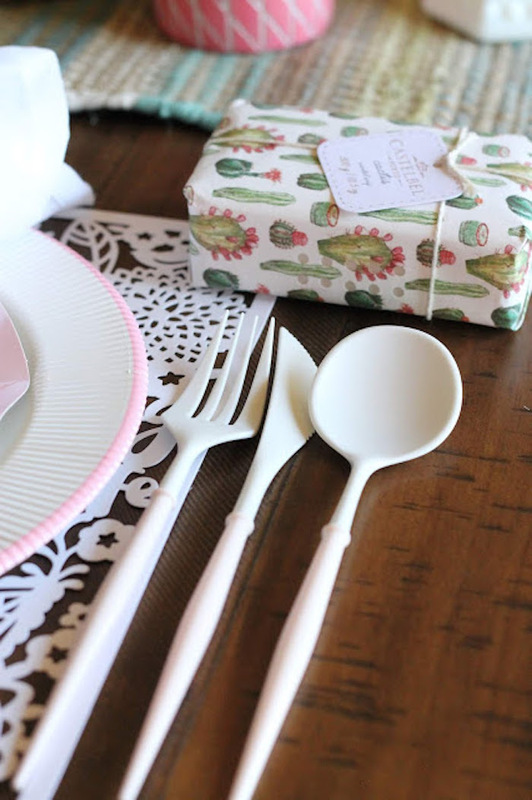 To make clean up a breeze, I used pretty paperware from Sophistiplate. 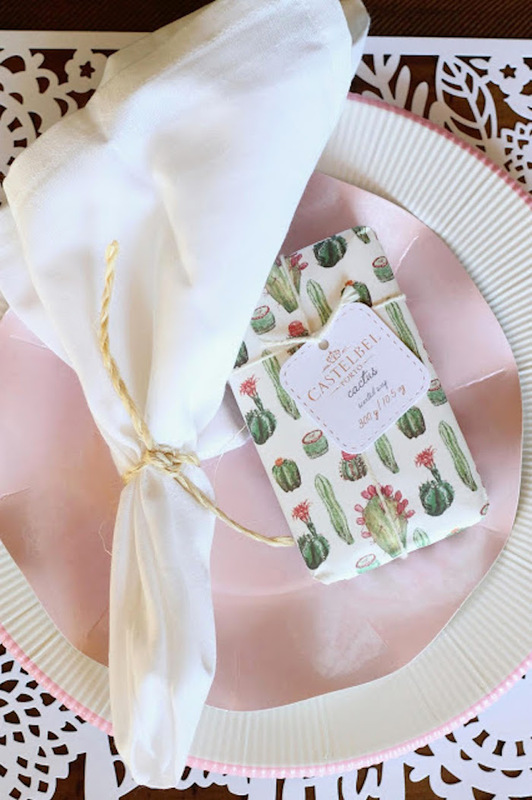 They have the best selection of gorgeous and well made plates, napkins, bowls and utensils. 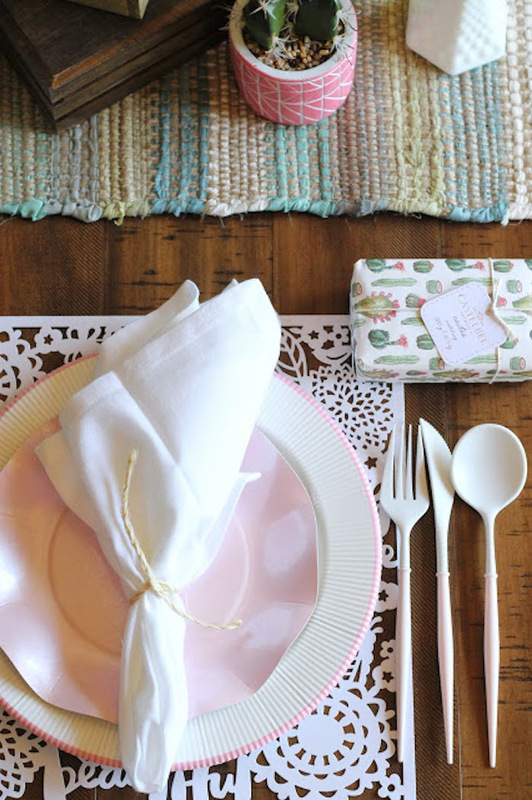 I used the pink rim dinner plate with the pink petalo dessert plate, and their stunning cutlery in blush. 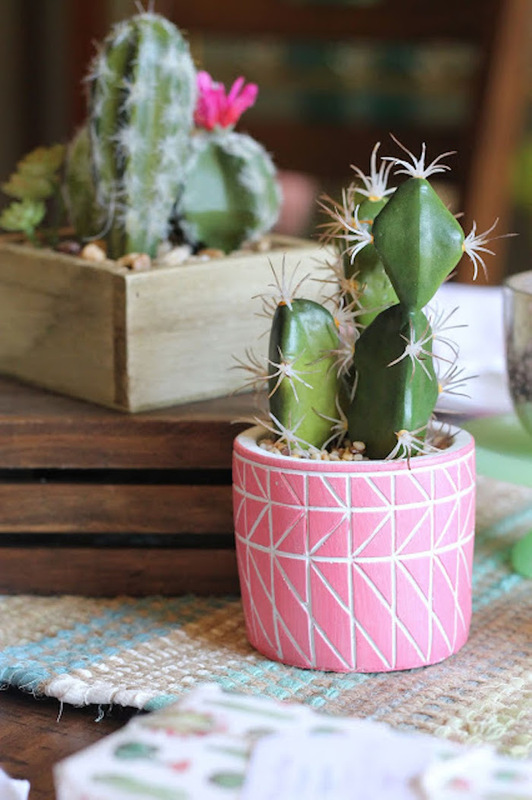 No party is complete without a little festive drink! 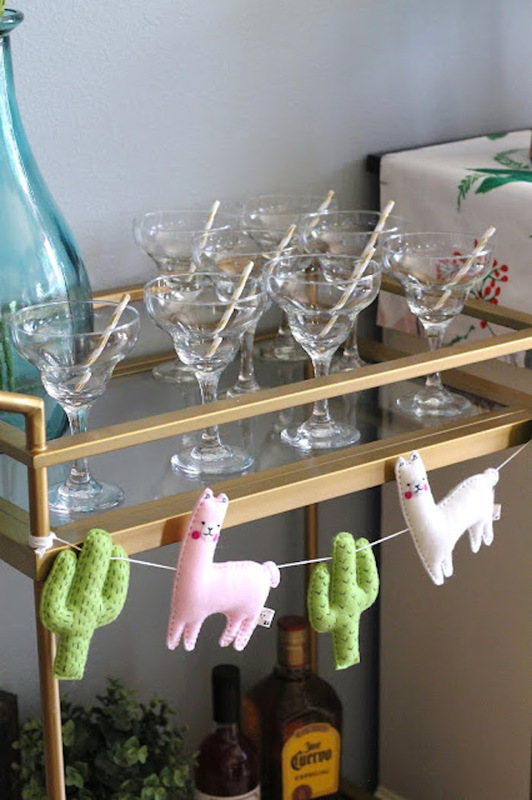 Glasses and alcohol were set up on a bar cart, with this darling llama-cactus garland. 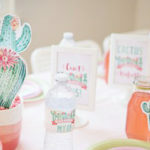 We served traditional margaritas, and a fun blood orange version. 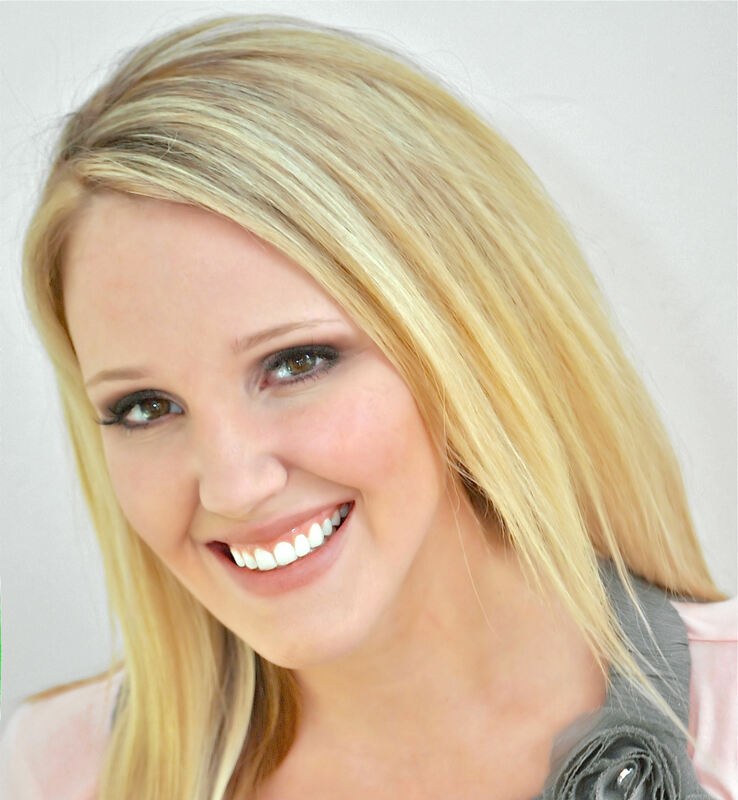 A local distillery offers delicious vodkas in so many amazing flavors. 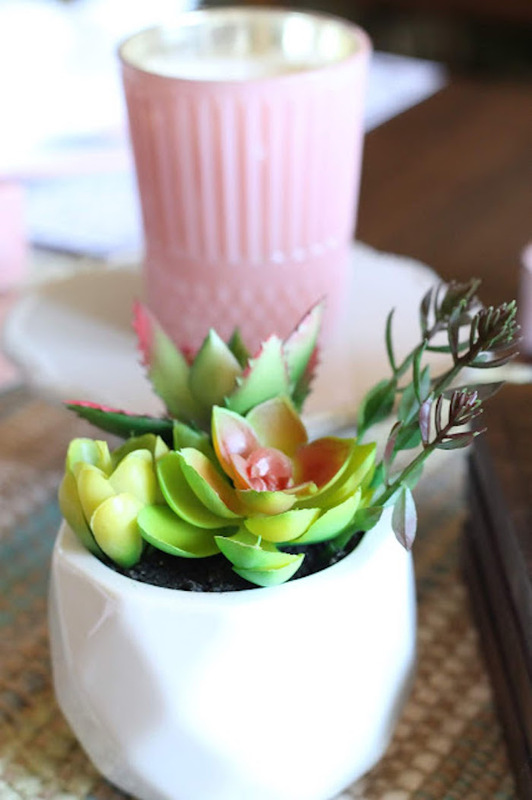 See here to make the blood orange margarita. 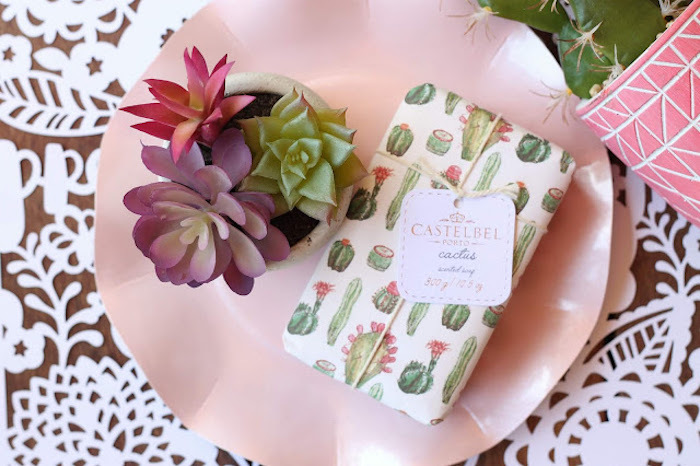 I love to have little favors for guests. 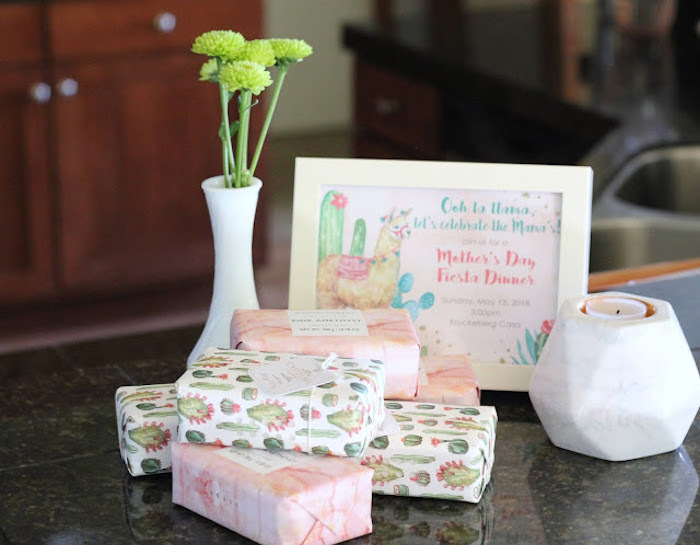 For this party we were celebrating Mother’s Day, so I made sure to get each mom a luxurious bar of moisturizing soap. 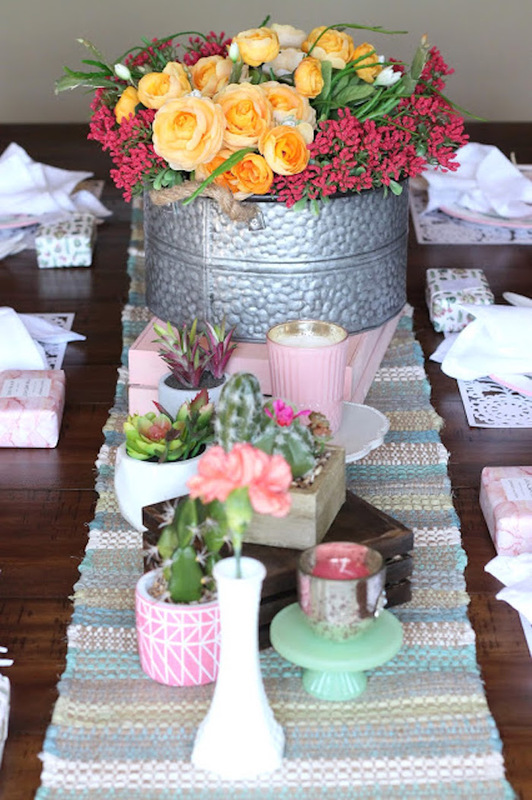 This same favor could easily be given to party guests if you were hosting a baby shower. 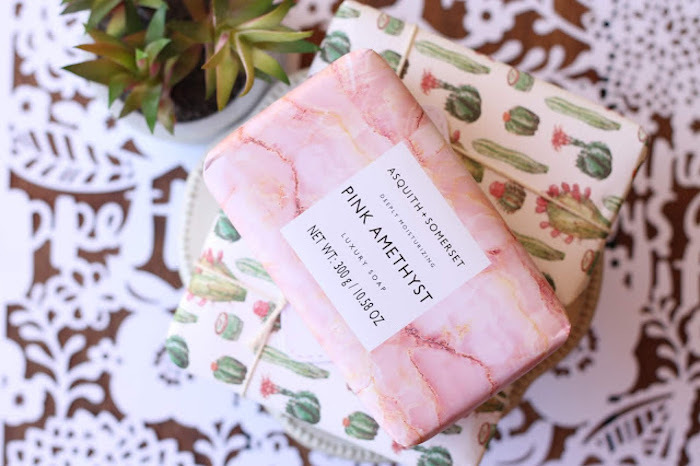 I found these amazing bars, in the best packaging, that fit my theme. I love when this happens! 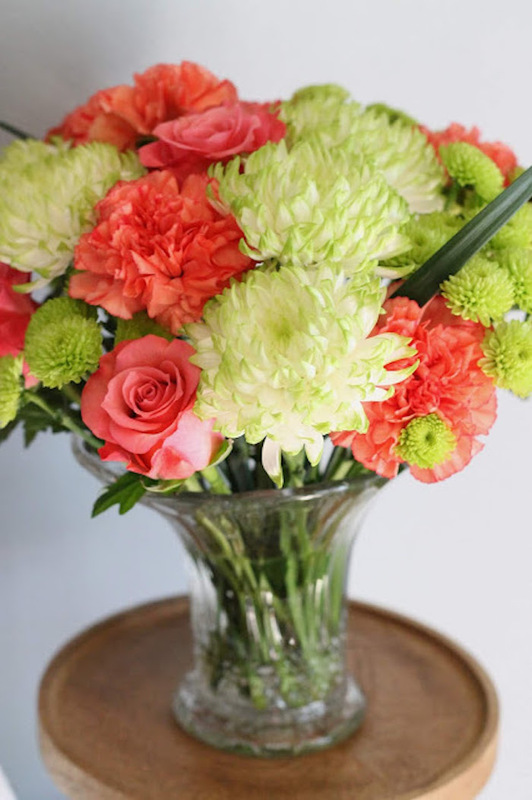 Not only really pretty, but they smelled yummy too. 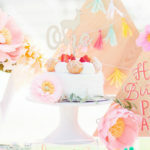 One of my favorite details in any party is the invitation, it completely sets the theme and tone of the party. 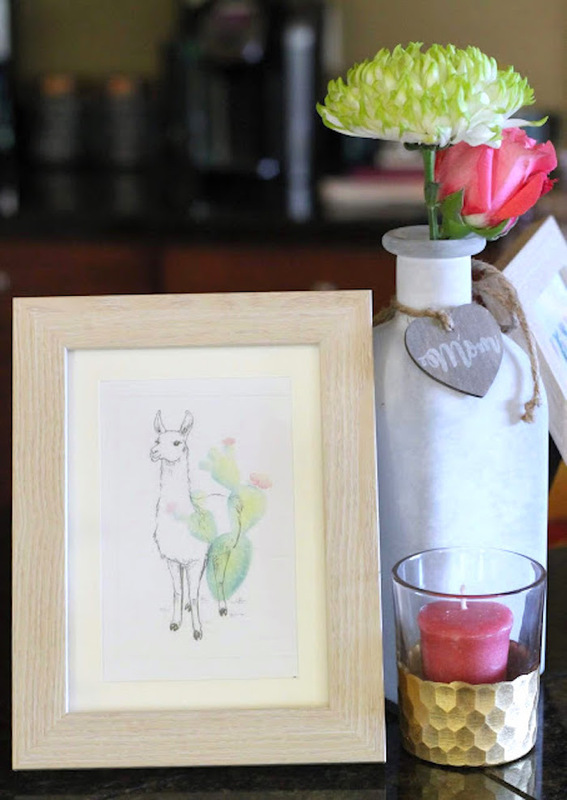 My sweet friend Rene’ at Party Monkey designed these adorable invites, she captured my vision perfectly! 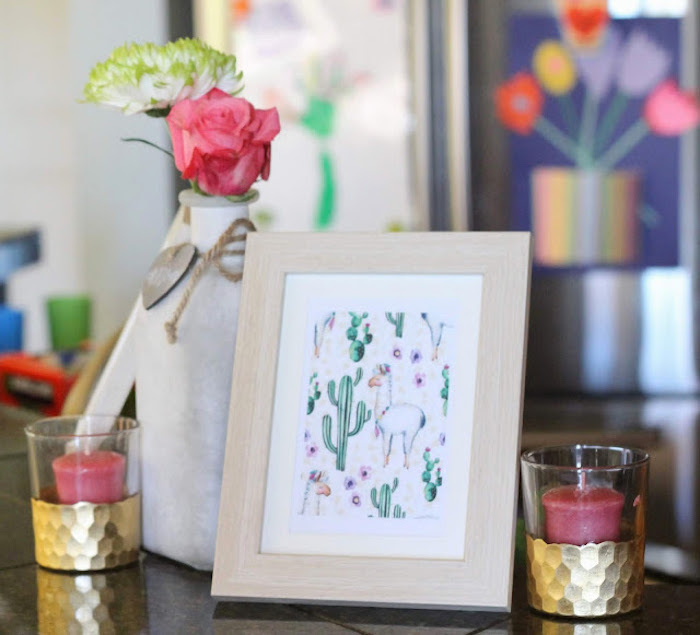 This same theme is available in a birthday or baby shower invitation on her Etsy site. 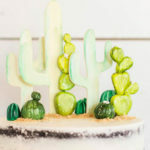 See all of our cactus party ideas here! 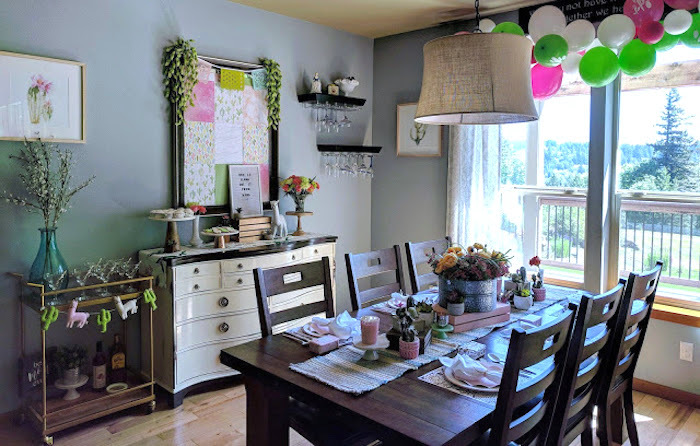 Thanks so much for sharing, such a fun party!